Canadians who fear that scrapping the first-past-the-post electoral system would lead to instability and extremism should look for comfort on the other side of the world, argued James Shaw, the co-leader of New Zealand's Green party. "In our experience, we had exactly the same concerns, but none of them ever happened," Shaw told a news conference Friday in Ottawa. 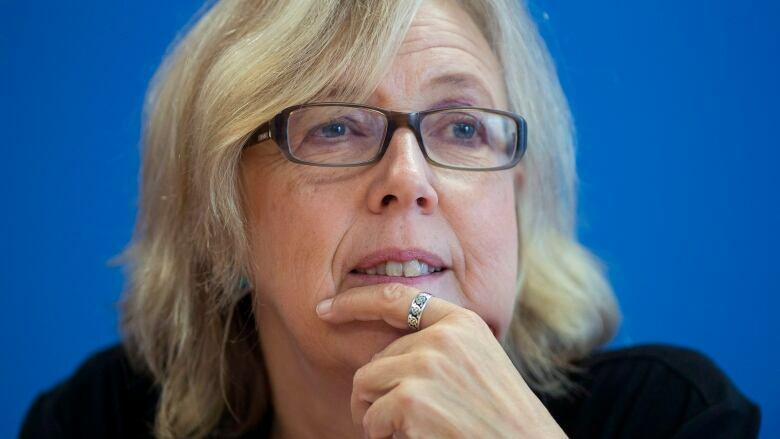 Shaw was on hand alongside his Canadian counterpart, Green party leader Elizabeth May, to make the case for changing the way ballots are cast in this country's federal elections. Prime Minister Justin Trudeau has promised to change the way Canadians vote in time for the next federal election in 2019; a parliamentary committee is studying the issue. New Zealand adopted a form of proportional representation 20 years ago. "Some of the fears that people had were that it would lead to unstable government, that it would lead to having extremists in Parliament and that they would get a foot in, that it would make for the death of large parties, and so on," Shaw said. "And in fact, none of those things have happened." Shaw pointed out that the two main parties — the centre-right National Party and the centre-left Labour Party — together still hold a significant majority of seats in the New Zealand House of Representatives, even if proportional representation has allowed other parties, including the Greens, to have a strong presence too. He said the system also often leads to centrism. "Because every single vote counts, you have to fight for every vote in every seat, right across the country," said Shaw, who was in Ottawa for the Green party's convention, which kicked off Friday and continues through Sunday. "There have been people with a radical hue that have come into Parliament, but Parliament has an effect of moderating that." It has also boosted diversity, with the percentage of indigenous MPs matching their proportion of the population, Shaw added. "The House of Representatives is now more representative than it has ever been before." One big difference in New Zealand's case, however: it introduced electoral reform after two separate referendums. In Canada, the Opposition Conservatives have been pushing for one, but the Liberals have resisted, without officially closing the door. May, whose party has decided to make electoral reform — rather than climate change — its biggest priority, is staunchly against making Canadians vote on the issue. They already have, she argues. The Greens, the Liberals and the New Democrats each promised electoral reform in their platforms and since together they won both a majority of seats and votes, they argue there is a mandate in place to go ahead with it. "People knew when they were casting their vote at the election that this was going to be part of it," Shaw said of Canada. May said bringing in proportional representation would likely increase the Green party's share of the popular vote, because people would be less inclined to vote strategically. "Once you get rid of the first-past-the-post voting system, you allow people to vote for what they want." In the type of voting system now used in New Zealand, called mixed-member proportional, voters cast two ballots: one for a local candidate and one for the party of their choice. Each riding continues to elect one MP using first-past-the-post, whereas other set of MPs are chosen via party lists, divvied up according to the share of the popular vote that each party wins. A mixed-member proportional model has already been proposed and rejected in both Ontario and P.E.I.